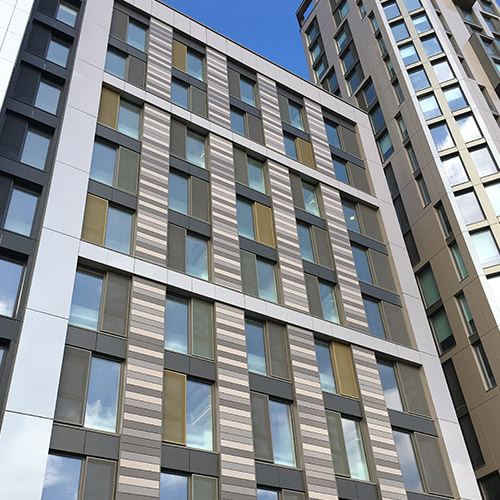 Client Tide Developments utilised the services of Vision Modular Systems Ltd to form the building structure from prefabricated volumetric modular units manufactured off-site. Aluminium windows were installed by Century Facades in Visions factory. 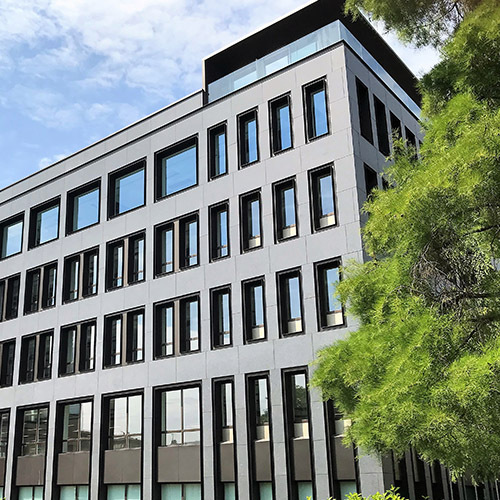 In addition, Century carried out the complete design, supply and installation package for the external brick slip cladding, perforated feature metalwork, glazed balustrade and sky frame.